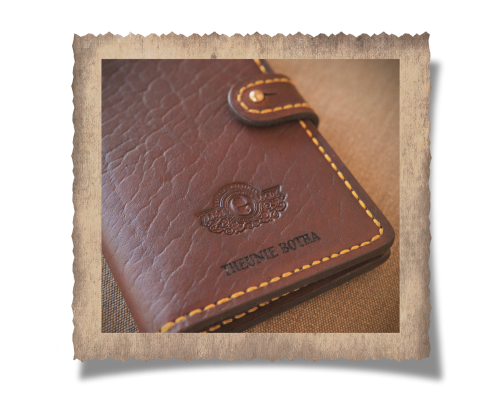 All our products are crafted using only the best quality vegetable tanned leather we can source. 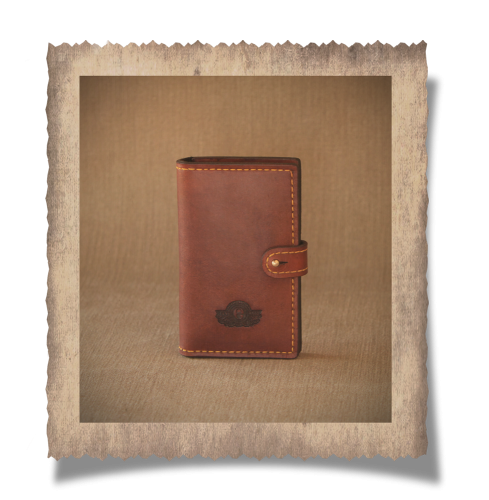 It is self dyed and hand rubbed with our own mixture of beeswax, animal fat and vegetable oil for a classic old school look. 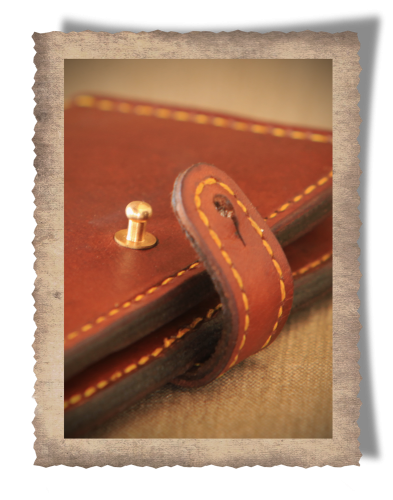 The entire holder is hand stitched, around 120 stitches in total, using thick wax coated cotton thread that gives a genuine old school finish and the honest tactility of true craftsmanship. We only use solid cast brass imported from the United Kingdom to ensure the best in casting. Never loose your license cards again. You can neatly store up to 8 cards with this holder. 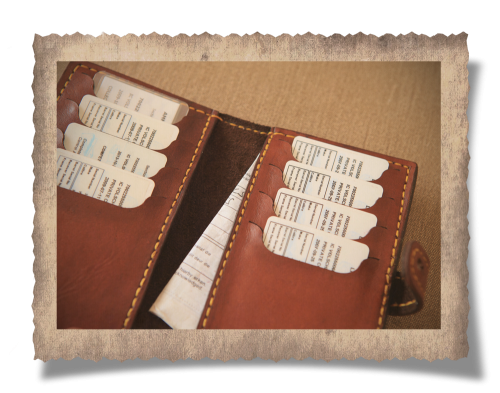 We also added a convenient pocket for your provincial hunting license.